Foot infections can develop when an infecting organism enters the body through an opening due to a foot injury, wound or condition. There may be changes in skin color (especially redness), an increase in skin temperature, swelling, pain, drainage, odor, or fever. 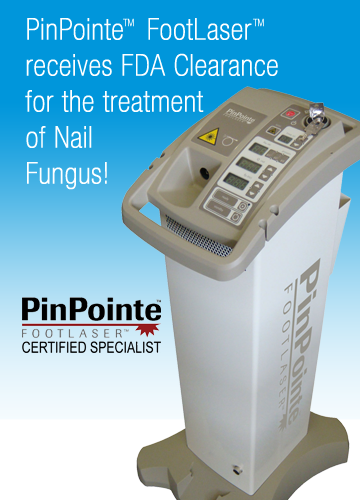 Foot infections can be due to bacteria, fungus, viruses, or parasites. Hook worm – an intestinal infection that comes from soil. When it enters the body through the foot it causes extreme itching and a red rash at the entry point. Sometimes, however, the infections are systemic and come through the bloodstream from other infections within the body. Systemic foot infections can be related to diabetes, chronic kidney or liver disease, autoimmune disorders, gout, AIDS, cancer, peripheral vascular disease, and malnourishment. In these cases, there may be no outward signs of the infection. Persons affected by such conditions have to be extra vigilant with regards to their feet. Treatment for a toe, foot, or ankle infection depends on its location, type, and severity as well as when the injury, wound, or condition became infected. Consideration is also given to your age, health status, and activity requirements. Non-surgical treatment options include general first aid and medicines. Surgery is an option in some cases. With all manners of treatment, the desired outcome is to prevent the infection from spreading up the leg to other parts of the body and to prevent serious complications that require amputation or that result in death. If you have a toe, foot, or ankle infection, Dr. Jeffrey Burmeister, DPM, and his experienced staff are ready to fully diagnose, treat, and see you on your way to pain-free living. Schedule an appointment by completing an online appointment request at www.jacksonvillefootandlaser.com/contact.html or by calling (904) 765-8889.